Bosoon Park, author of this blog entry, works as an Agricultural Engineer on behalf of the USDA in Georgia. 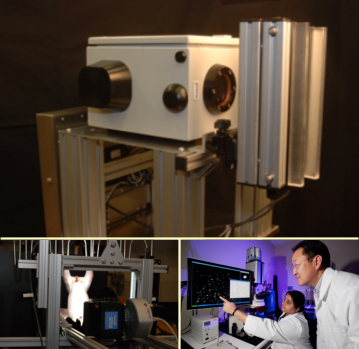 He has done extensive research on hyperspectral and Raman imaging as it applies to food inspection and agriculture. Author of numerous published papers on the subject, Bosoon will be co-presenting a discussion on hyperspectral imaging at the annual conference of the American Society of Agricultural and Biological Engineers to be held in Dallas July 30 through August 2.